Tap into your natural psychic abilities by learning how to use your special gifts! Want a quick card reading for a burning question? Choose your deck and get the guidance you seek! Seeking answers? Schedule a private session with Laurie and ask the questions important to your soul’s journey. Get Laurie’s class schedule here! Crystal Bowls, Psychic Development, Tarot Classes online classes and more! Looking for guidance to make this coming week a little easier? What is coming? How can you be ready? Are you a Working Girl? Check out Working Girls Magic! Blending business and conscious living for the modern day woman! High quality conscious living products to help you on your soul’s journey! From sprays, books, candles and more! 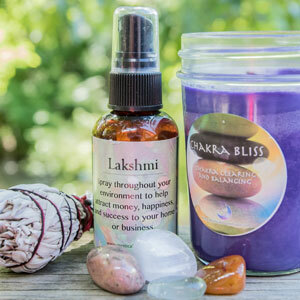 Three custom blended sprays to help you on your soul’s journey! 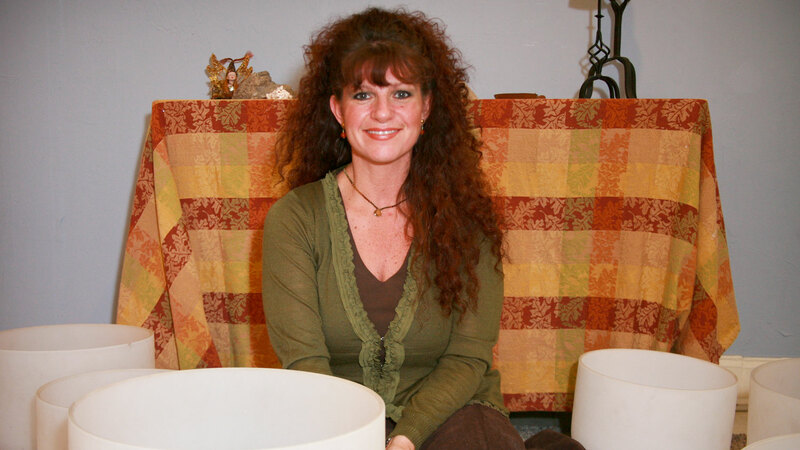 Laurie will tap into your energy and create custom blends! 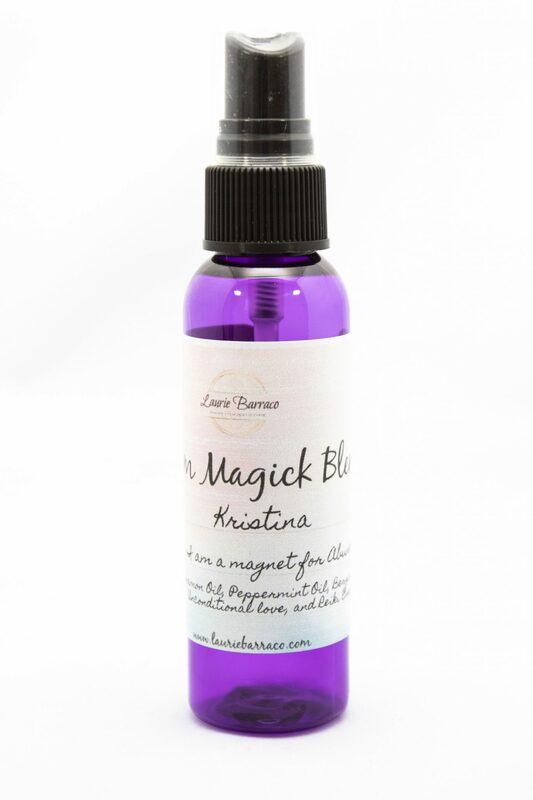 One custom blended spray to help you on your soul’s journey! Laurie will tap into your energy and create your custom blend! Originally from Queens/New Hyde Park in New York, Laurie relocated to Ft. Myers, Florida in 1990 and has called the area her home ever since. She and her husband Jim have been together since 1987 and have 2 children – Jimmy and Nicole. Through her family’s support and love, she is able to dedicate her time and energy to providing a sanctuary for those seeking direction, support and healing. Her gifts as an intuitive and psychic have always been present, though she was not always practicing professional. For a time Laurie was a teacher and a paralegal, which provided a certain amount of financial security, however, she was not fulfilled. She continued her personal spiritual journey by taking meditation and psychic development classes, expanding her skills and confidence in her abilities. Finally, she realized the professions she had chosen were not fulfilling the deeper calling of her soul. She decided to leave the security of her 9-5 position to explore jobs in the spiritual field. In less than a month, Laurie was hired to run the front desk of a metaphysical center in Bonita Springs. After a few years she was ready to take a huge leap of faith and open her own center. She wanted to build a place where people would be able to grow spiritually in a comfortable and safe space. Get messages, direction, discounts and more right to your inbox. Free Guided Chakra Meditation Download! 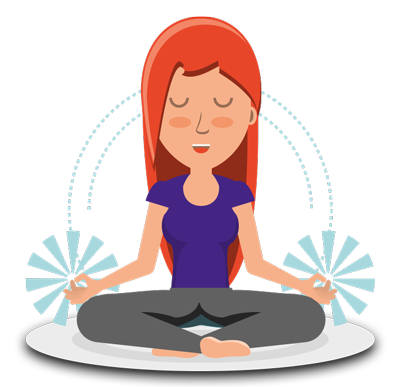 Balance, align and restore your Chakras with this guided meditation!